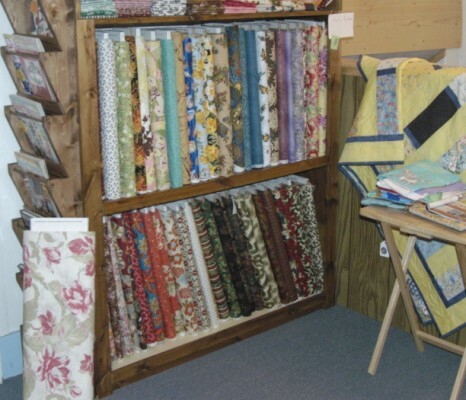 (East fabric rack) I stock about 2500 bolts of quality quilting fabrics, including over 1000 elegant batiks, from Hoffman California - International Fabrics ( www.HoffmanFabrics.com ), Moda/United Notions ( unitednotions.com ), Blank Quilting ( www.blankquilting.com ), and Princess Mirah's Designs ( www.bali-fabrics.com ). Individual bolts may vary, especially in hand dyed batiks, so I encourage you to buy enough at once to complete your project. 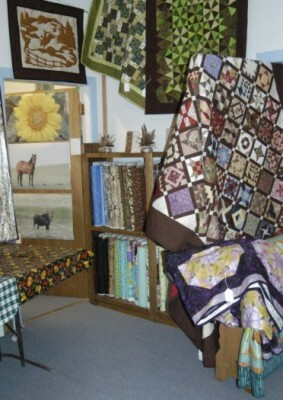 (North fabric rack) Here's more fabric bolts in my supplies gallery. I carry 100% cottons, including flannels, in rich and coordinating colors. I like Gutermann cotton threads for strength and durability. 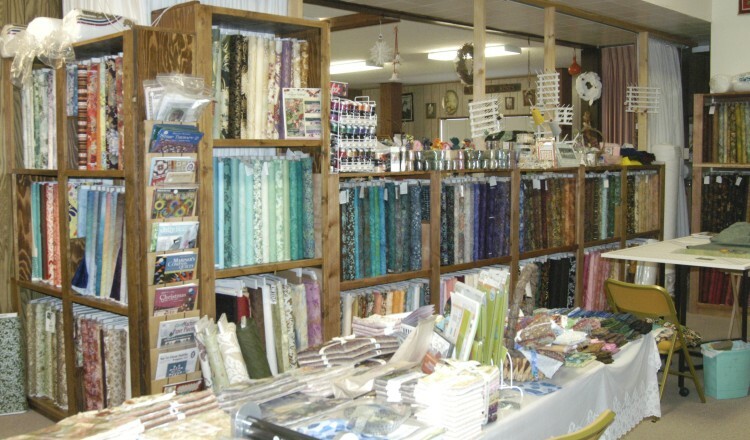 I also carry DMC embroidery floss, Maxi-lock, and some YLI threads. Here are beautiful modern patterns for every need. 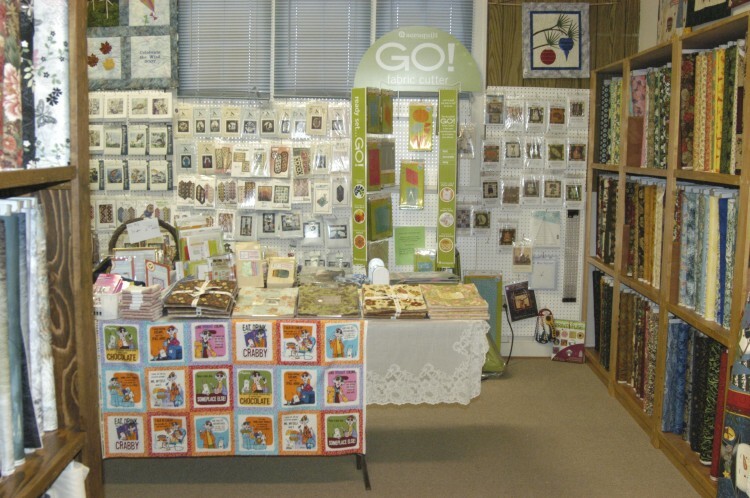 One of my favorite designers is McKenna Ryan, Pine Needles Designs. 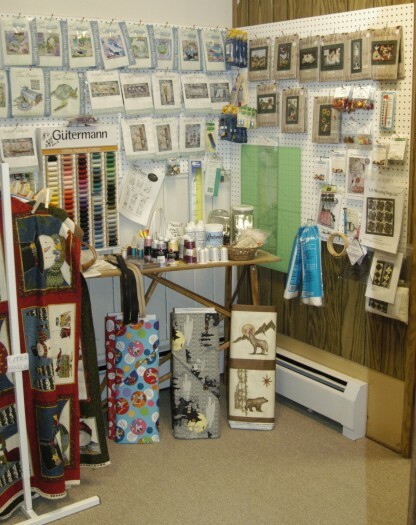 You will find wall hangings made from her patterns for sale in the store, as well as her patterns and kits. 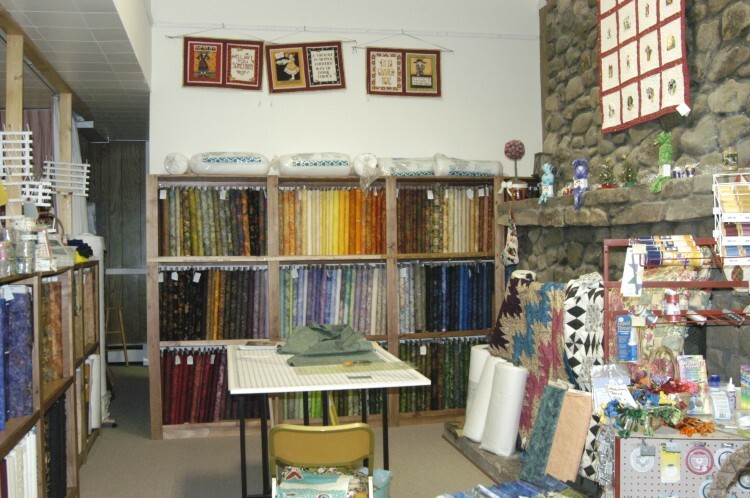 Other designers' patterns include Genil Lehmann, Lehmann Quilting, Lexibee Designs, and a limited supply of Ravenwood Designs patterns. 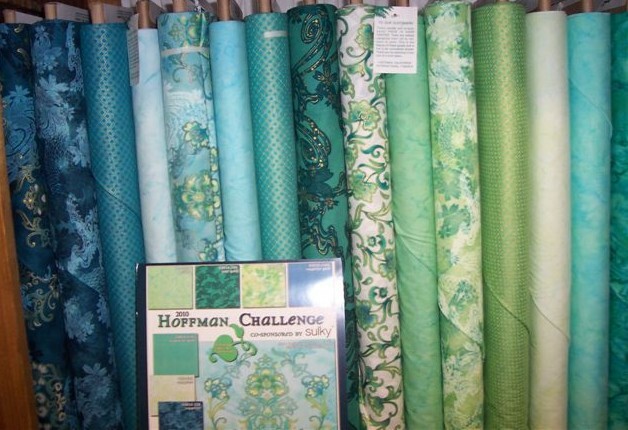 I stock fabrics for the Hoffman Challenge every year. 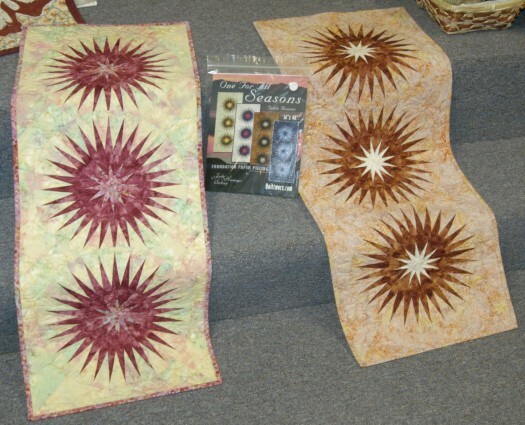 Submit a quilt made with this year's Hoffman Challenge Peacock Gold #136G fabric by mid-July 2013, and you may win quilting materials from Hoffman, plus products from co-sponsor Sulky. Please see the complete contest rules online at http://www.hoffmanchallenge.com. I carry many types of kits. 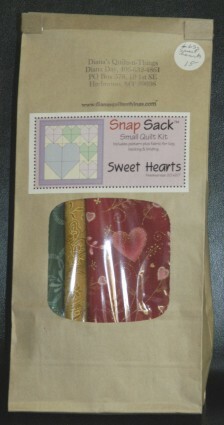 Please call Diana Day at 406-632-4861 for personal assistance with your supplies order, or email your inquiry anytime.